Integrity is not about whether or not other people in the world think you are acting with kindness or that they think they can trust you. 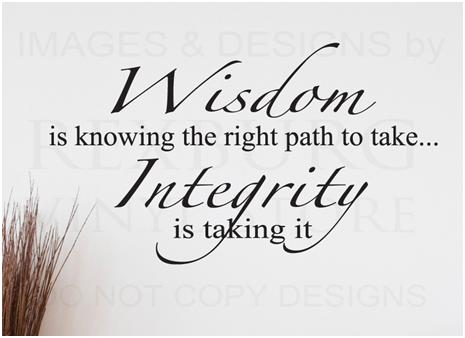 Integrity means to be integrated. It means the aspects of yourself, within yourself, are working together as a whole. Personal Integrity is when your actions are consistent with your thoughts and words regardless of who is or isn’t watching. Breaking a promise, saying one thing when you mean another, violating your values, stealing, cheating or intentionally hurting another physically, emotionally or spiritually, are all examples of a lack of integrity. Likewise, if a person has love toward others but not oneself, they lack integrity. The same is true for a person who loves himself, but holds animosity toward others. A person who has passions and dreams, but lets them sit idle because their Inner Critic says, “Other things are more important,” lacks integrity. People worldwide know the real and lasting benefits of good health, yet if they choose to live an unhealthy lifestyle, that lacks integrity. Anytime we think one thing and do another, anytime we believe one thing and say another, we lack integrity. Universal Integrity is when our thoughts and actions are consistent with Universal Laws. Anytime we violate the Universal Laws of Life such as honesty, win/win, unconditional love and acceptance, and forgiveness, we lack integrity. This is not a bad thing, nor is it wrong. It is, however, a reminder of our humanity and for those seeking personal and spiritual alignment, it shows us where we have more growth to experience. 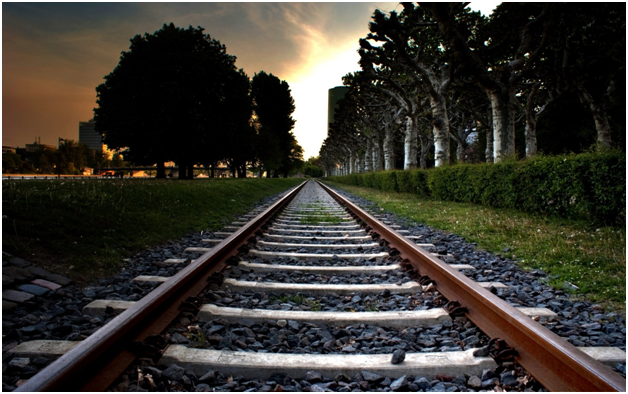 Life is like a journey on a train…with its many Stations…changes of routes… delays… arrivals and departures! At birth we boarded the train, met our parents, and we believe they will always travel by our side. As time goes by, other people will board the train; and they will be significant…our siblings, friends, children, and even the love of our life. Our parents will be with us as long as we absolutely need them, but at some point, they will step down from the train, most likely one at a time, and they will leave us on this journey… alone. Many will step down and leave a permanent vacuum. Others will go so unnoticed that we won’t even realize they vacated their seats! We’ll try to hold on to some, even those who don’t choose to stay, but we need to let go those who wish to travel on other trains in order to make room for those who wish to board ours. Some people will sit down and talk with you, others will just stand around, oblivious to your existence. Some will have to leave the train while you’re having a great conversation and who knows if you will see them again. And if you’re lucky, there will be those who will sit next to you and be with you through the whole journey. This train ride will be full of joy, sorrow, fantasy, unmet expectations, adventure, excitement, fears, music, laughter, successes, failures, hellos, goodbyes, and farewells. But a successful ride consists of having a good relationship with all passengers… requiring that we give the best of ourselves to each one who rides with us, regardless of the length of the journey. We look out the window and see scenes from our childhood pass by… adolescence… young adulthood… We see ourselves at birthdays and weddings… holiday gatherings… funerals… school events… living in different homes… on vacations… and at work. Yet the mystery for us all is: At which station will we ourselves step off…? We don’t know. So, until it is time for our stop, let’s be loving, forgiving, and kind to all aboard… and offer the best of who we are. It is important to do this because when the time comes for us to step down and leave our seat empty — we’ll want to be able to wave from the platform with a smile as we leave behind beautiful memories for those who will continue to travel on this magnificent train of life.